What if you could get a giant dose of vitamins, minerals, and anticancer phyotchemicals, in any one of several different delicious packages? Well, actually you can: welcome to the brassica family! “Brassicas” or “cruciferous vegetables” refers to species in the genus Brassica, which is part of the mustard family. It’s a big group, including everything from canola to cauliflower to cabbage, plus lesser-known species like daikon and tatsoi (a lot of Asian cooking greens are actually in this family). If you eat them raw, most of these vegetables have slightly bitter undertones, but cooking them brings out a very pleasant mild sweetness – think roasted cauliflower or kale fried in bacon fat. Their taste isn’t their only selling point, though: these vegetables are packed with nutrition, including a few particularly significant cancer-fighting compounds. On the other hand, they also aren’t right for everyone: several are high in FODMAPs carbohydrates, and anyone with impaired thyroid function might want to be wary of eating too much at once (more on this below). Folate (Vitamin B9), which is particularly important for women who are pregnant or trying to conceive. Vitamin K1 (not the Vitamin K2 you get from pasture-raised beef and dairy, but valuable anyway). The dark-green-and-leafy members of the family (kale, collards, and friends) will also provide some calcium – in fact, collard greens are actually the richest source of bioavailable plant calcium around. Brassica vegetables also get good press for their cancer-fighting powers. Just to start with the obligatory disclaimer, there is no one food that can “prevent” or “cure” cancer (in fact, “cancer” isn’t even one single disease to “prevent” or “cure” in the first place). But with that said, brassica vegetables do contain potentially anti-cancer phytochemicals called glucosinolates (these are the same compounds that give them their slight bitterness). In test-tube and animal trials, glucosinolates have been found to break down into various other compounds that help prevent cancer in different ways. In humans, the evidence is mixed: some studies show that people who eat more brassica vegetables get less cancer; other studies show that there’s no connection. It also probably depends on the specific type of cancer. But this review concluded that “a frequent intake of vegetables of the cruciferous family lowers the risk and may lead to a weaker metastasis of tumors in some persons.” A lower risk of cancer and weaker tumors if they do appear, all for the price of eating something that would be delicious anyway? Sounds pretty good! They can be hard to digest if you have trouble with vegetables. Many brassicas are high in FODMAPs carbohydrates, which can cause a whole slew of digestive symptoms like gas, bloating, and constipation or diarrhea (this is where all the off-key jokes about the cabbage soup diet come from). If you’re having gut trouble, it might be wise to get rid of them temporarily, and then reintroduce in slowly increasing quantities, to see how much you can tolerate at once. They can be goitrogenic, especially when raw. This one is tricky because in most people with healthy thyroid function, there’s absolutely nothing to worry about unless you’re actually eating a dump truck’s worth of cabbage every day. But in people who already have thyroid problems, goitrogenic foods can sometimes make it worse. Essentially, goitrogenic foods are foods with the potential to impair thyroid function. By far the biggest offender here is soy, which isn’t Paleo anyway, but you might also have trouble from huge quantities of raw brassicas (e.g. kale juice). Cooking food makes it much less goitrogenic – here’s a good discussion of this if you want to know more. But again most people shouldn’t have issues with this; it’s only really a concern for anyone with pre-existing thyroid issues, or anyone who isn’t getting enough iodine. Now for the good part: how to get all that nutrition-packed, anti-cancer goodness on your plate. 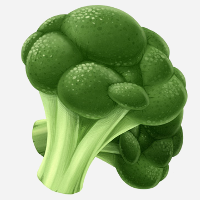 First up are the brassicas everyone knows about – in your mental stock photo of “vegetables,” these are probably in there. You’ll find them at every grocery store, usually in several options (raw, pre-cut, and frozen, at least). Vegetables like broccoli, cauliflower, and kale fall into this category. Cabbage: oven-roasted garlic cabbage or coleslaw with apples and poppy seeds. Cauliflower: cauliflower with lime and cilantro, fresh vegetable salad with black olives, or try these cauliflower substitutes for unhealthy foods. Now it’s time to shine the spotlight on some vegetables that might not be regular guests on your table. If you’re feeling like mixing something up, try one of these on for size. Looks like: a bumpy green or purple knob with leaves sprouting up from the top – like a green or maroon-colored turnip. Tastes like: broccoli, but mild and sweeter. Looks like: broccoli, but with longer stems and smaller florets. 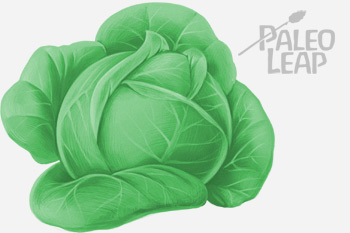 Looks like: regular cabbage, but a little bit elongated, wrinklier, and paler green. Tastes like: very mild cabbage. Looks like: bite-sized, dark green leaves shaped like little spoons. Tastes like: very mildly mustard-flavored; much less “peppery” than arugula. Looks like: feathery, bright-green leaves – a little like dandelion leaves. Tastes like: a little milder than arugula, but with a slight mustard-y edge. Looks like: a giant, white carrot (or alternately, like a turnip that got stretched way out). Tastes like: a very mild radish. Looks like: the actual wasabi plant looks like a dirty, bumpy root, but the wasabi you buy in stores is already ground into a paste or powder. Look for it in the Asian food aisle. Tastes like: a kick to the back of your nose – wasabi is powerful, so if you’re not into spicy food, beware. Pick with a tried-and-true favorite, or branch out into something new – either way, you’ll get the health benefits of brassicas in a delicious plate full of nutrient-dense food.